Mission: Serving the Wilson Community to make lifelong learners the Wilson Way: through empathy and respect for all. 1. No sign-up, just show up. Audience welcome! 2. There is a three-minute maximum time limit. There is no minimum time limit. 3. No music, props, or costumes. Just your voice and the mic. 4. All types of poetry and poems are welcome: slam poems, limericks, spoken word, hip hop rhymes, haiku, or any other type! Prizes are Powell's gift cards: 1st prize $75, 2nd prize $50, 3rd prize $25. Volunteers needed to help keep score and time. Contact Cassie Lanzas clanzas@pps.net in the library. The winners of the Wilson Poetry Slam will compete at Verslandia, the citywide youth Poetry Slam, on April 25 at the Arlene Schnitzer Concert Hall. 1st and 2nd prize winners will perform at Verselandia and 3rd place will be the alternate at Verselandia. Don’t miss this opportunity to share your poetry at the Schnitz! Contact Cassie Lanzas clanzas@pps.net for more information. Wilson complementary tickets to share with students who would like to attend Verslandia on April 25th at 7pm. These tickets will be given first come first served to students. Support the winner of our Wilson Slam and enjoy a phenomenal night of poetry. 1. Pick up a permission slip in the library or print one here. 2. Return it signed to the library and join our Remind. Class code @trojanpoet. Student tickets always sell out. Don’t wait! Questions? Contact Cassie Lanzas clanzas@pps.net in the library. Thank you to Literary Arts and Wilson PTA for making the poetry slam possible. Copies of Americanah and We Should All be Feminists are available at Wilson Library for checkout. Wilson Story Slam Thursday, February 13 at 3:30. 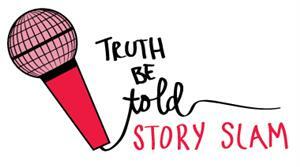 Tell an original story at the Wilson Story Slam. One student from Wilson will be nominated to tell their story at the PPS Interscholastic Storytelling Competition! The theme this year is "Endings." The library is closed for one hour after the student lunch for library staff lunch and meetings. However, the library may be closed other times if library staff are teaching lessons or meeting with teachers outside of the library. Click on the button above to donate to the Wilson Library. Donations are used to support classroom instruction, upgrade the space, and fulfill student book requests. Cassie Lanzas is delighted to join Wilson as the new teacher-librarian. Prior to Wilson, she was the teacher librarian at Robert Gray Middle School and Skyline K-8, where she focused on digital citizenship and reading engagement. Cassie started her career in education as a social studies teacher at Grant High School, where she spent over ten years and focussed on AP courses and small learning communities. Cassie holds a Bachelor of Arts from Portland State University, a Masters of Arts in Teaching from Lewis & Clark College, a Reading Endorsement with a specialization in Young Adult Literature, and an Education Media Endorsement from Portland State University. She is focused on increasing and developing reading engagement for all students, digital citizenship, and research and inquiry skills. She is also the Oregon Battle of the Books team coach. She spends her time outside of school with her family enjoying the wide variety of activities the Pacific Northwest has to offer.